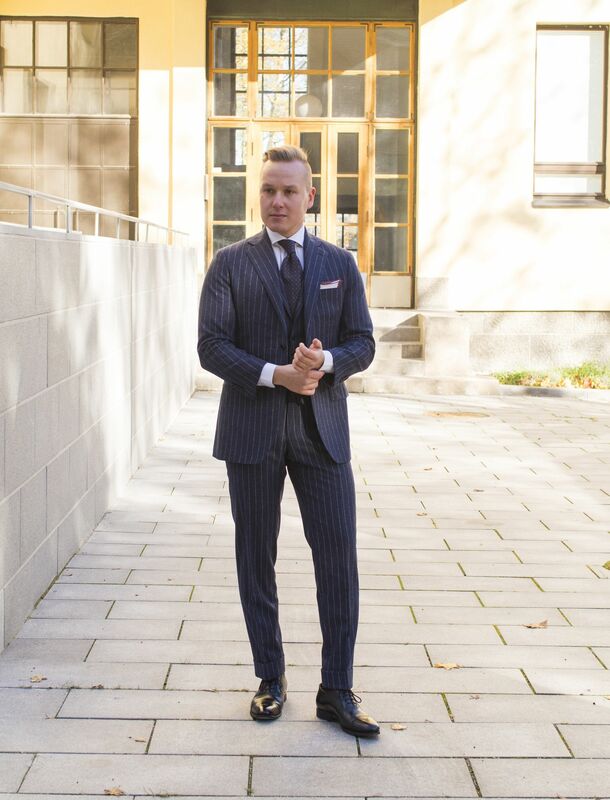 So, if you follow my Instagram you've perhaps noticed the other one of my new made-to-order suits from Vaatturiliike Sauma has been finished. And I'm glad to note that it's a true beauty - the fabric is just fantastic and the fit (being the same as this) awesome. Again, I opted for no padding, full canvassing and no lining making the jacket a little bit more lightweight to wear in the office. That said, 250 g/m² flannel isn't too suffocating to start with. 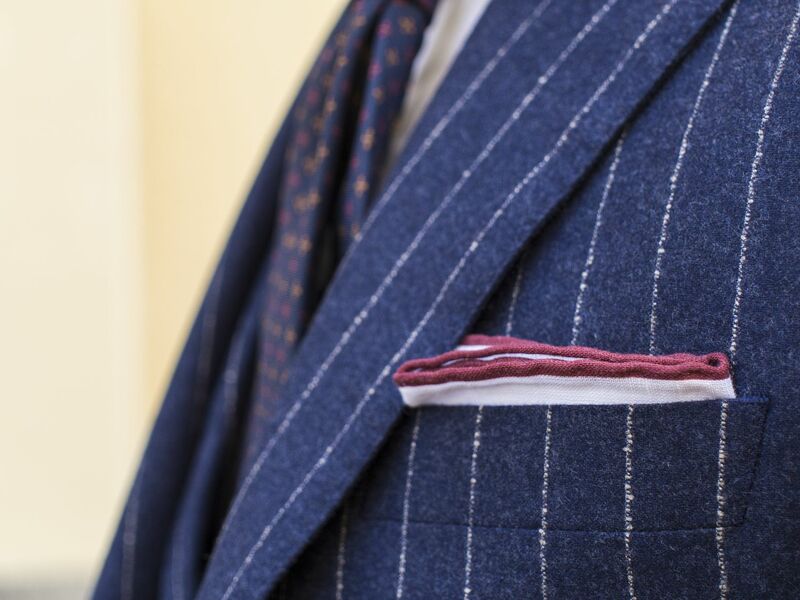 Other features include side adjusters (no belt loops), a slightly raised trouser rise, slightly shortened vest with lapels (that roll like a dream), two inch cuffs and lots of handwork all around, of course. 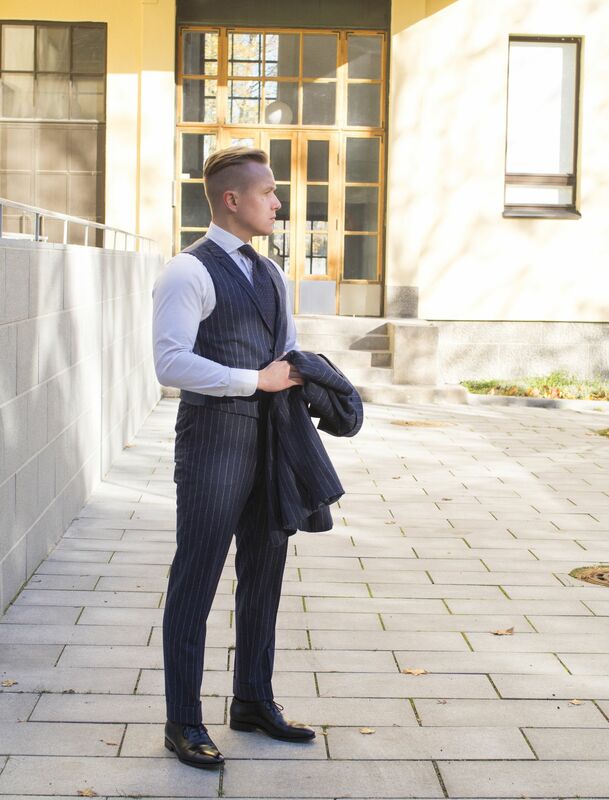 The worn items include, naturally, the suit from Vaatturiliike Sauma, shirt from Sonrisa. lovely six-fold Berg & Berg tie (I will be writing a separate feature on this one soon), Shibumi Berlin contrast border pocket square (and this, too), Pantherella socks and Meermin Olfe last shoes. Playing it pretty safe with a navy print tie and a contrast border pocket square. 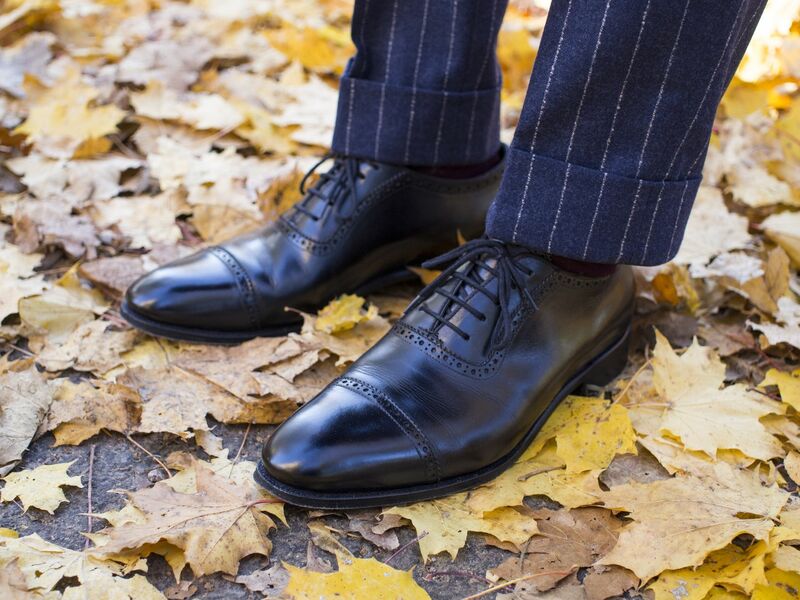 Finally, black cap toe Oxford shoes to go with the formal theme. I love how they look with this kind of fabric. All in all, another 5/5 experience, would buy again. Once I'll get my other new suit, I'll write a separate feature on both the suits. 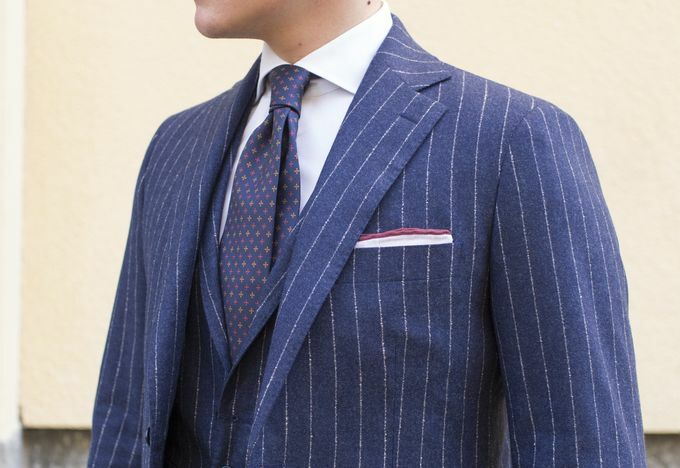 I'll also post another feature displaying it in a more casual use, something this kind of softly constructed pinstripe suit can actually do with ease.